True story: When I first encountered the word ‘gnocchi,’ I assumed it was pronounced GA-no-chee. Why? Probably because I am a genius when it comes to pronouncing new words. Really, ask any of my close friends, they will tell you. I’m a pronunciation wizard. My special X-Men power aside, are you guys in love with gnocchi as much as I am?! If not, what’s wrong with you? I mean no disrespect, but seriously gnocchi has to be one of my favorite foods on the planet. It’s right up there with pizza and brownies. (Hmm … all my favorite foods are carbs. That’s probably not ideal …) If you’ve never had the pleasure of gnocchi-ing yourself before, here’s the deal. They are little pillowy dumplings, usually sold in the pasta aisle—the best aisle at the grocery store, right? They are usually made of potatoes, flour, cheese, or a combination of all three, etc. Sometimes they are made with other ingredients too, like pumpkin or other squash, pesto, sweet potato, carrots, and so on. Not only are they delicious and super versatile, they also cook super quick. And the only thing I like more than carbs is probably super-quick-to-make carbs. 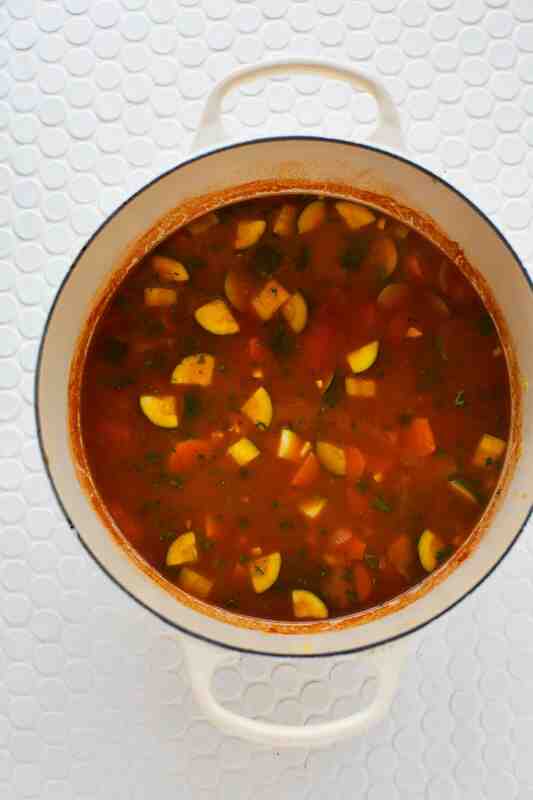 This soup is filling, comforting, and can be made in well under an hour from start to finish. It’s also pretty easy to change up, based on what you have on hand. See notes for some thoughts. 1 package gnocchi, approx. 18 oz. 3 carrots, about 8 oz. 1 zucchini, about 5 oz. 1 can tomato puree, 10 oz. First, prep all the vegetables. 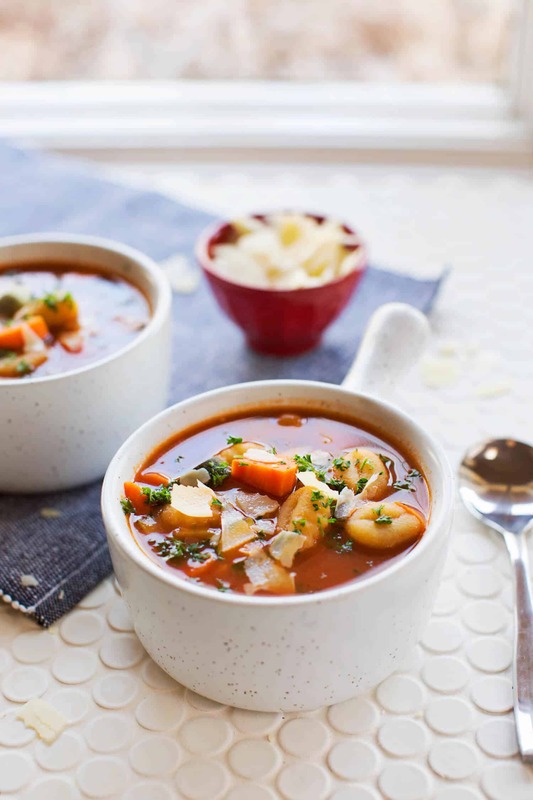 Keep in mind that this soup will not be getting pureed, so you want to chop your vegetables into bite-sized pieces. In a large pot, add the olive oil and onions and cook over medium heat for 2-3 minutes until the onion begins to soften. Then add the carrots and cook for another 2-3 minutes. Next, add the zucchini and garlic, and season everything generously with salt and pepper. Cook another few minutes, until you begin to really smell the garlic. Add the tomato puree and vegetable stock, reduce the heat to low/simmer, and place a lid over the pot. Allow that to cook for 30-40 minutes. 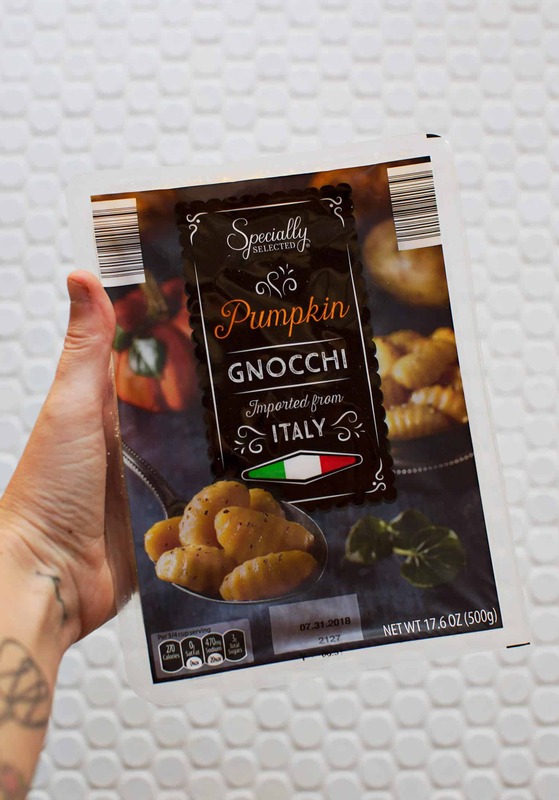 Here’s what gnocchi I used, it’s a pumpkin kind that I got from ALDI. I loved this and it made my final soup feel even more like fall/winter. But, any kind of gnocchi will work here, so feel free to pick something that you like or that is readily available where you shop. You could also make your own gnocchi. Homemade is SOOO good, but it will add quite a bit of time. Trade-offs. After the soup has been cooking for about 20 minutes, get the gnocchi ready. Follow the directions on the package to boil water and cook the gnocchi in the boiling water until they float. Once they are done cooking, reserve a cup of the pasta water before straining. Add the gnocchi and 1 cup of pasta water to the pot (this is after the initial 30-40 minutes of cooking, as the carrots should be very tender and soft). Give everything a stir and then taste the soup. Add more salt and pepper as needed, or if you’d like to add some heat, try a little cayenne. Then add the torn spinach and chopped parsley before serving. Note: If you can, swap out the vegetable stock here to change up the flavor a little as well as the protein content. I recently discovered a creamy, bean-based (high protein) soup stock that I’ve tried in a few soups and really like. If you don’t care about keeping this plant-based, you could also use bone broth for additional protein. If you choose to consume meat, we encourage you to choose organic and buy from sources you know are ethically produced for both your health and the health of our planet. If you are enjoying this as part of the Weekday Weekend challenge, then note a few things. 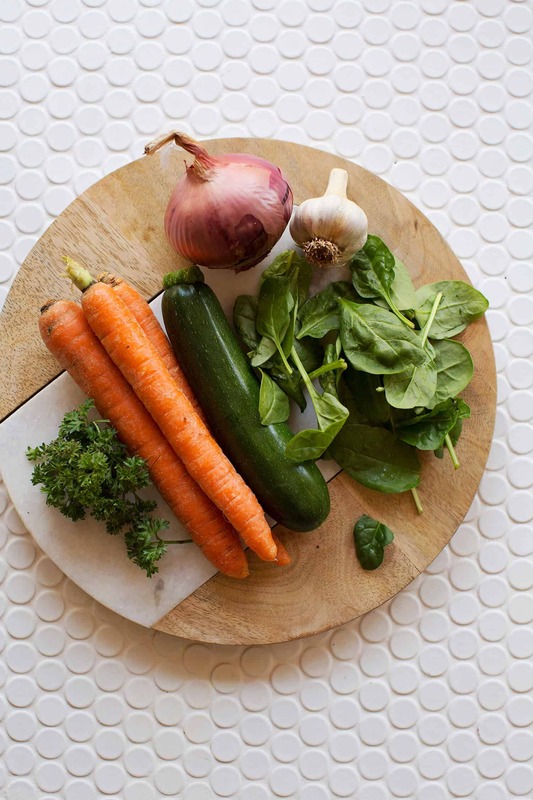 First, choose a gnocchi that is made of all vegetables/plants (all potatoes) or whole wheat. I actually think this is fairly hard to do, so if you don’t have any luck finding one you could swap out the gnocchi for a whole grain pasta instead. Second, make sure to either skip the Parmesan or use a non-dairy Parmesan (another great source of plant-based protein, see our recipe in our cookbook). Credits // Author and Photography: Emma Chapman. Photos edited with ACS for Desktop. 1 package gnocchi approx. 18 oz. 3 carrots about 8 oz. 1 zucchini about 5 oz. 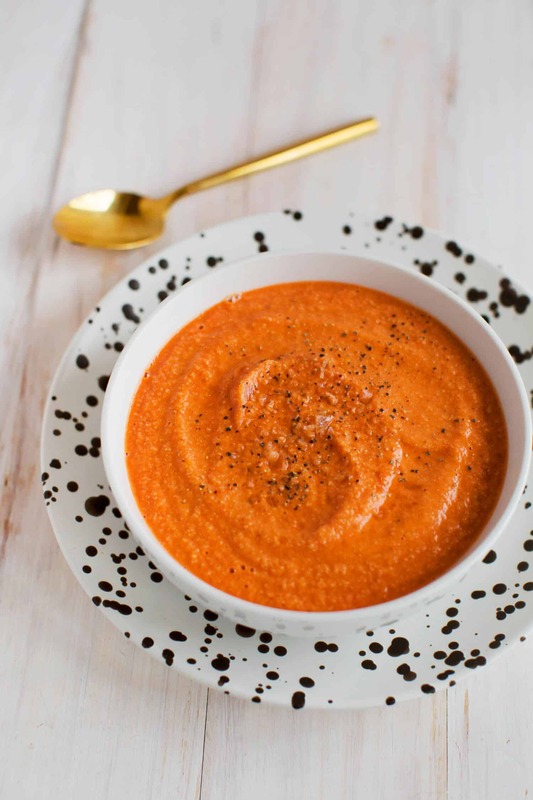 1 can tomato puree 10 oz. If you can, swap out the vegetable stock here to change up the flavor a little as well as the protein content. I recently discovered a creamy, bean-based (high protein) soup stock that I’ve tried in a few soups and really like. If you don’t care about keeping this plant-based, you could also use bone broth for additional protein. 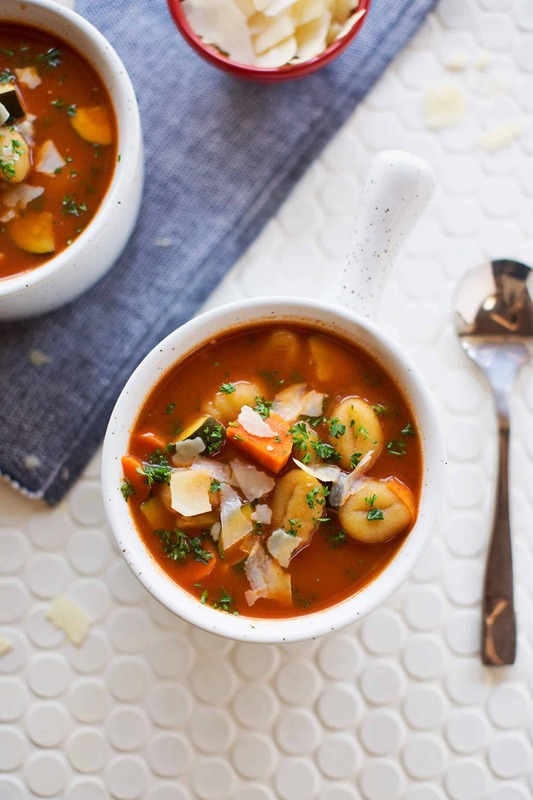 Never made a soup with gnocchi, but this sounds incredibly delicious! This sounds perfect for our cold weather right now! Soup makes me feel so cozy! 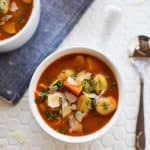 I am Italian and this is the first time ever that I read about a gnocchi soup! I didn’t even know we had pumpkin gnocchi! Now I’m definitely intrigued! I used to pronounce it the same way, ha ha! Love my pasta and potato carbs too. 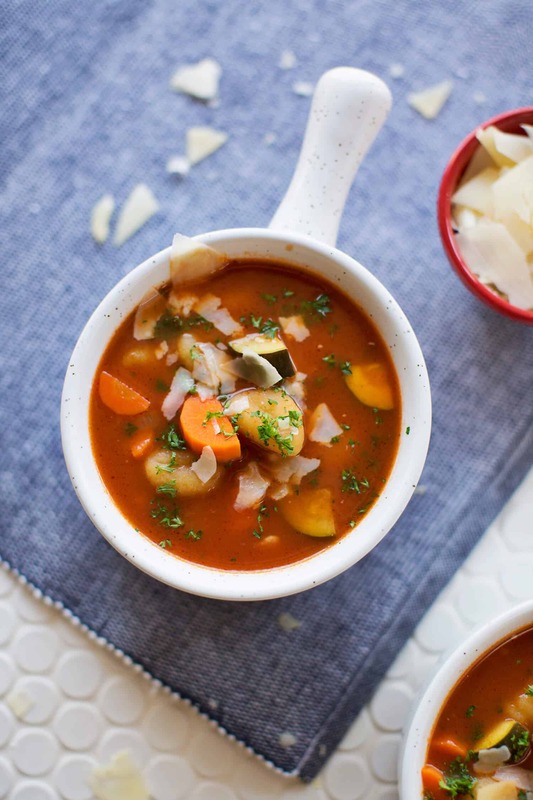 In the fall and winter I usually make a soup a week so will have to try this one next! Thanks for the recipe! Did you try cooking the gnocchi directly in the soup? Would it get too thick? I did not. I was afraid of exactly what you’re thinking, that it could result in making the soup too thick and goopy/starchy. But if you try it let us know how it goes. Emma that was my thought exactly, why not cook the gnocchi in the soup without wasting any of the nutrients or starch. 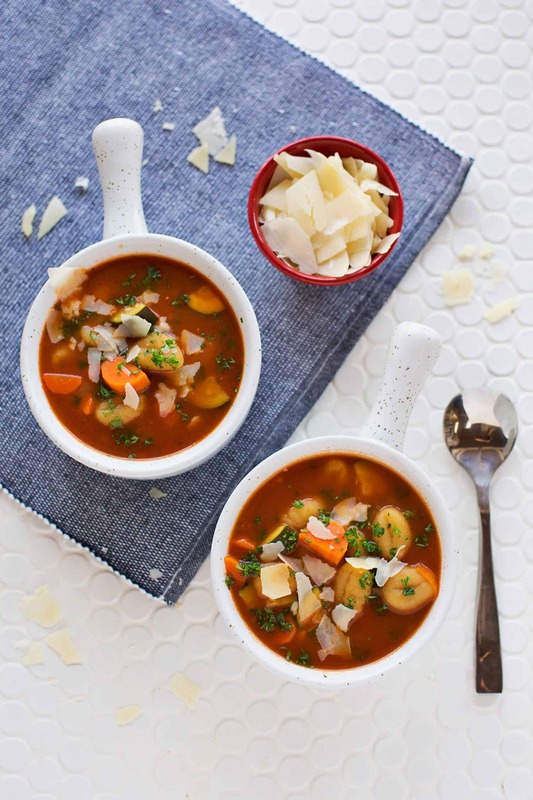 I always sweat a diced potato together with the onion, celery, carrot to naturally thicken soups (veggie, broccoli soups) but I would just boil the gnocchi directly in the soup. I’ll give it a try and report back. Important NOT TO STIR THE SOUP UNTIL THE GNOCCHI RISE TO THE TOP or they will go mushy! I now see comments of those who did cook the gnocchi right in the soup. Mmm, will definitely try it! I made this recipe tonight for dinner. I like that it’s healthy and adaptable to whatever vegetables you have on hand. I added peas and roasted corn kernels to give it more veggies and a stronger flavor. Turned out really nicely and my fiance liked it too. I’m sorry guys. I love you and I’m sure this recipe is delicious, but as Italian I just can’t!!!! I love gnocchi! I went to college in Pittsburgh and it’s huge there, along with pierogies, so it’s become a staple in my diet. They’re also great cooked then sauteed with butter (or dairy alternative) and eaten as is. YAY STEELERS and PIRATES! And all things ITALIAN! I grew up in Pittsburgh, emigrated from northern (Trieste), Italy, and know well the affection Pittsburghers have for Italian, Polish and German foods! So many delicious ways to serve pastas and similar products besides the typical tomato sauces and “gravies” if you will. Get creative! Italian version of soup with dumplings except more nutritious! nothing against dumplings, I love them too!!! This soup is faaabulous! I ate the whole pot in two days. Also raved to a few friends about it. ❤️❤️❤️ Thanks, ABM! I made this last night and I’m super pleased with the result. I actually cooked the gnocchi directly in the soup and I don’t think it came out too thick. I did however use gnocchi filled with tomato and mozzarella (store bought, not home made) and a few of them opened because I cooked them a minute too long, next time I will be more careful to not overcook them. I also added a splash of red wine before I added the tomato pure and some dried basil along with the salt and pepper. 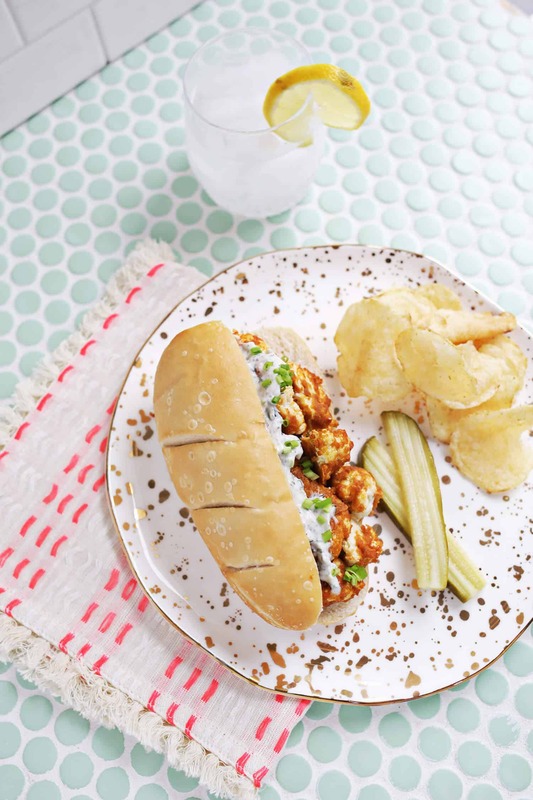 Such a good recipe, absolutely recommend trying it out! This is now a classic at our home. 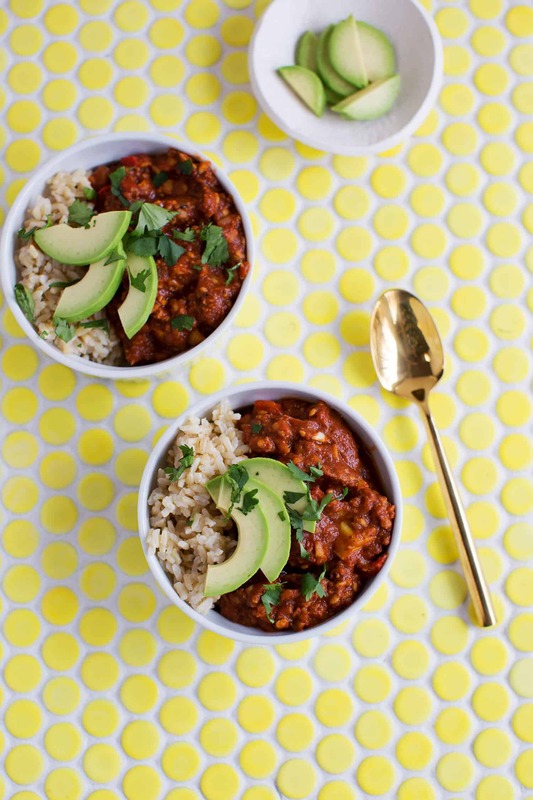 I’ve done it several times, easy, quick, healthy and delicious and the whole family loves it.